Change the way you sound with Female Voices. 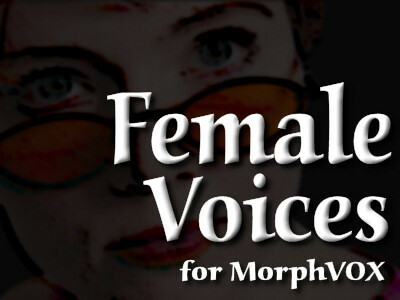 This add-on for MorphVOX voice changer includes six quality women voices. Sound like an attractive young woman, a tough biker, a wise grandmother, and more. This voice change pack uses advance voice manipulation technology to create natural-sounding female voices.